On 10 January 2014, the authorities in UAE arbitrarily detained Aisha Ibrahim Al-Zaabi as she tried to leave the country with her 18-month-old son. Al-Zaabi is the wife of human rights defender, Mohamed Saqer Al-Zaabi, who was convicted in absentia in the trial of 94 human rights defenders and activists in July 2013. She is not known to be involved in any political activity and it appears she is being targeted as part of a campaign of punishment against her husband. 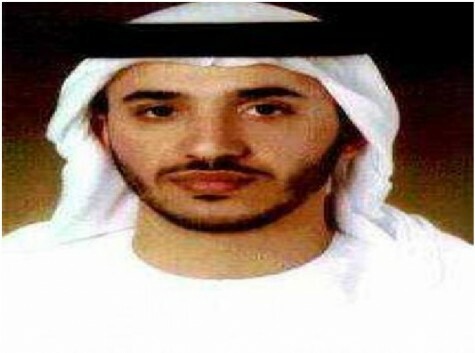 Mohamed Saqer Al-Zaabi was sentenced in his absence to 15 years imprisonment. The trial was widely condemned by human rights organizations as being deeply flawed and in contravention of internationally agreed standards of a fair trial. He now resides in exile in the UK. His wife was arrested at the border with Oman and was separated from her son who was handed over to her father. Her mobile telephone was confiscated and she has not communicated with anyone since that time. It is not known where she is being held and GCHR is deeply concerned for her welfare. The GCHR expresses serious concern at this continued campaign of reprisals against human rights defenders and their families in the UAE and condemns the harassment and arbitrary punishments being directed against them. Guarantee in all circumstances that all human rights defenders in UAE are able to carry out their legitimate human rights activities without fear of reprisals and free of all restrictions including judicial harassment.